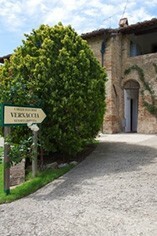 Azienda Agricola Casale-Falchini is located just two steps outside the walls of San Gimignano in Tuscany. The property was acquired by Riccardo Falchini in 1964, a descendant of an ancient Florentine family of winemakers. Situated 300 metres above sea level, it extends over a landscape of green rolling hills. The Casale used to be an ancient convent run by monks. In 1976 a new modern cellar was built, the first in the area to be equipped with temperature controlled vinification equipment. 13th century. 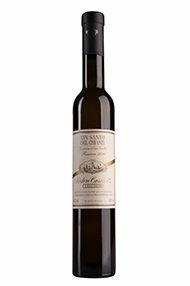 Its superiority over the ubiquitous Trebbiano was confirmed in 1993 with its elevation to Denominazione di Origine e Controllata e Garantita (D.O.C.G.) status.